In Excel, you can use the Text to Columns functionality to split the content of a cell into multiple cells. 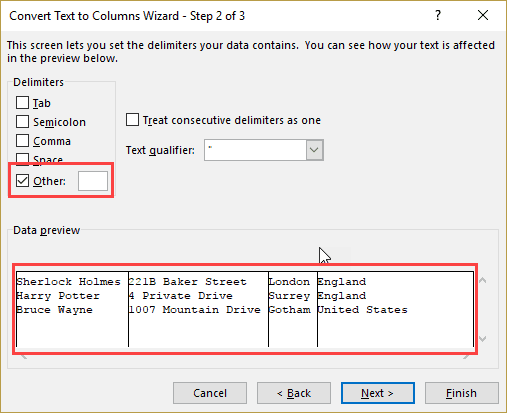 You can specify the delimiter (such as a space, comma, or tab) and the Text to Columns would use this delimiter to split the content of the cells. Examples of this include splitting first and last names, or username and domain name in email ids. 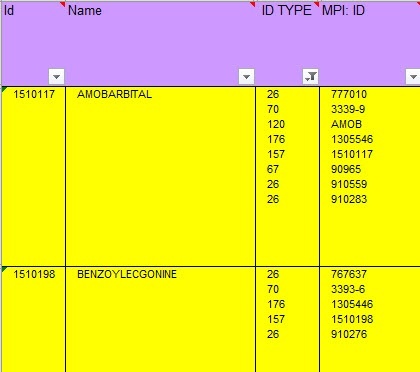 However, if you have a dataset where the delimiter is a line break (in the same cell), it gets tricky to split these multiple lines in the same cell into separate cells/columns. 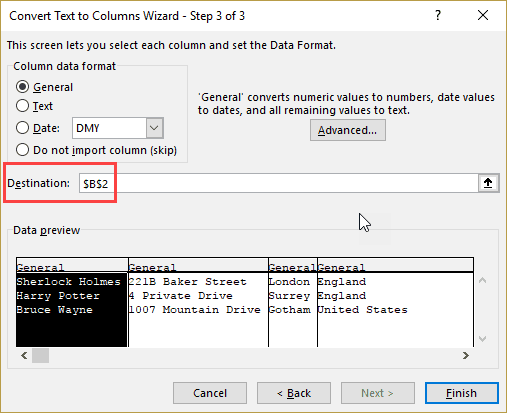 For example, you can have a dataset as shown below, where you need to split multiple lines in the address (separated by line breaks) into separate cells. 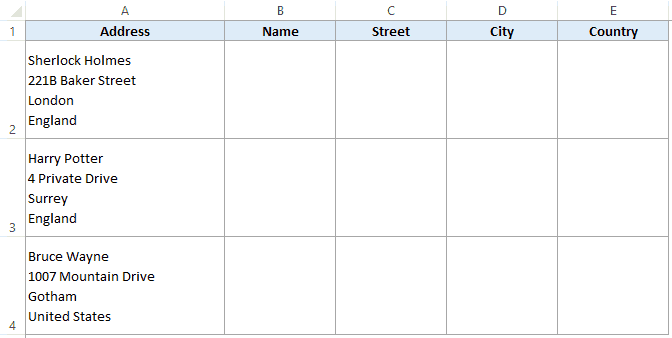 This would allow you to have the Name, Street, City, and Country in separate cells. Now to separate each part of the address, we can use the Text to Columns functionality (with a twist). Note: If you’re wondering how I managed to insert each address element into a new line in the same cell, you can do that by using the keyboard shortcut – ALT + Enter (it enters a line break). You can read more about it here. Select the entire dataset that you want to split. In the Data Tools group, click on the Text to Columns option. 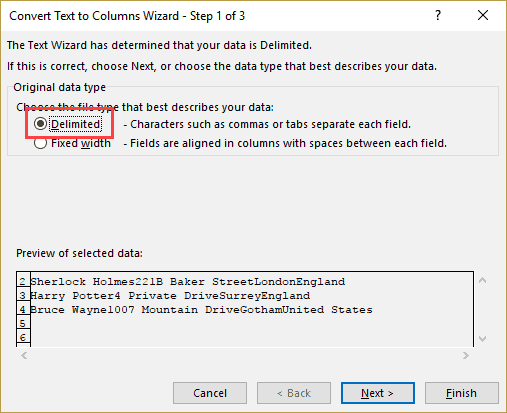 In the Text to Columns dialog box, in Step 1 of 3, select Delimited and click ‘Next’. In Step 2 of 3, uncheck any existing Delimiters selection, and select the ‘Other’ option. Now Use the keyboard shortcut Control + J (hold the ‘Control’ key and then press the ‘J’ key). You will not see anything in the box except a tiny blinking dot (if you look hard). Also, you will see the expected result in the ‘Data preview’ section (as shown below). Click on Next. In Step 3 of 3, change the ‘Destination’ cell to the one where you want the output. In my example, I want the result in B2, so I changed the value to $B$2. The above steps would automatically split the content of the cells based on where the line break occurs in each cell. Note that if you don’t want to keep the original data (it’s always advisable to do so though), you don’t need to specify the destination cell. It will simply overwrite the existing data and give you the result. When you use the keyboard shortcut Control J, it specifies the line break as the delimiter in the Text to Columns wizard. Now, Text to Columns checks each cell for line breaks and use it to split the content into separate cells. Note that Text to Columns would always split the content of the cells in separate columns. If you want to get the result in cells in different rows, you can transpose the result (as shown here). 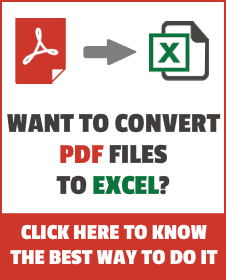 How to Split Cells in Excel. Saved my sanity! thank you. Do you know what the equivalent line break keystroke is on a mac? very good trick… i like it… Thanks !! it helped me a lot. I’m workind on a Apple Computer… using Excel 2001…. the shortcut “control+J” isn’t working… do you the shortcut for an apple keyboard ? I want to break out the ID type so that only the “26” lines are left and have the information that lines up in MPI ID be the only thing that is displayed. (basically get rid of anything other than “26” in the ID Type Is this possible? Once this is accomplished then I would like to have that remaining information populated back into their columns with line breaks so that it will correspond with the first 2 columns. HI Summit – I am using excel 2016 and the CTRl+J – did not work. Appreciate this; But whether there is any way to do this by the help of formula.